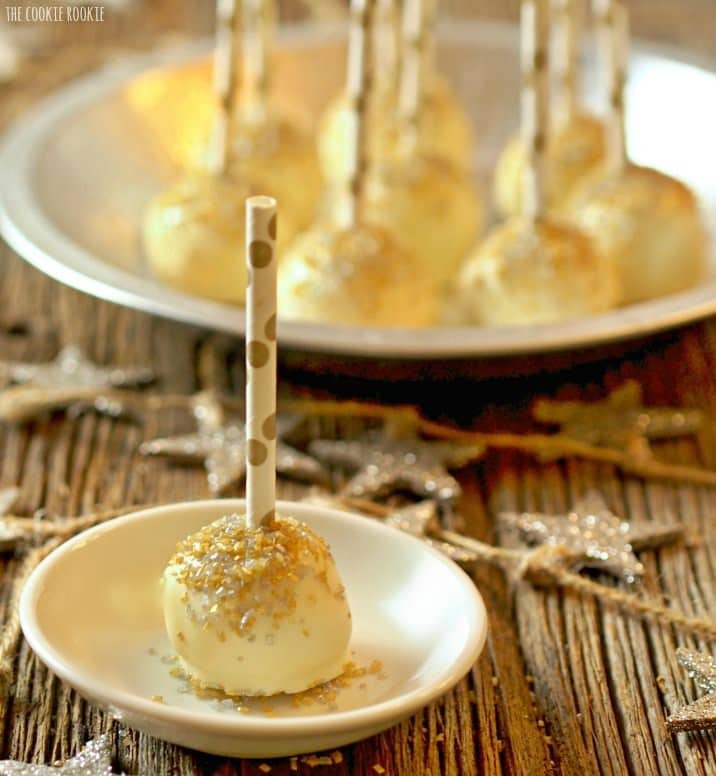 Simple Lemon Cake Pops get a festive makeover with these delicious Gold Glitter Cake Pops! Yum! 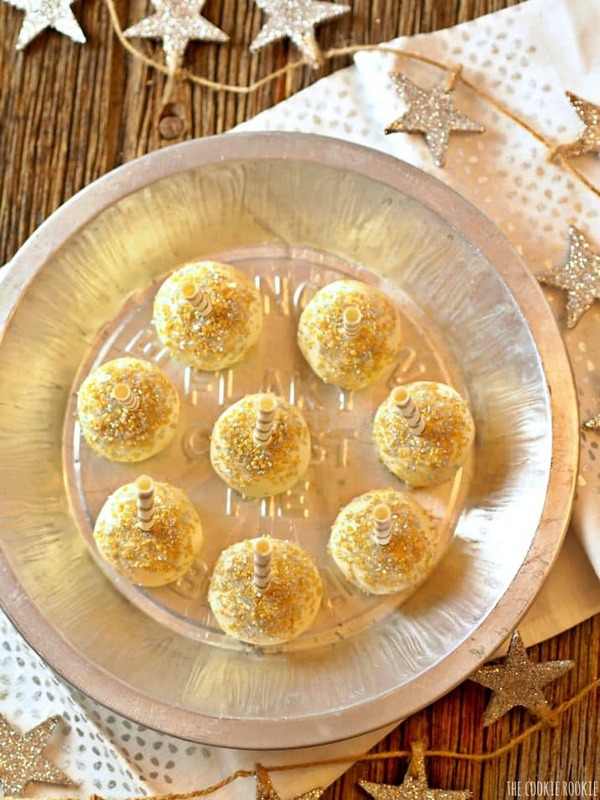 These are so pretty and tasty; just perfect for any party! VERY VERY VERY exciting news around here. I. MADE. CAKEPOPS. I know to most this seems meaningless, but I’m still a rookie folks. I made cakepops and they were fantastic. If I do say so myself. Yes I used box cake mix and yes I used premade icing. BUT…they were fantastic. I’m not sorry. I’m proud! And because I wanted to give them a little flair, I made them gold and glittery. 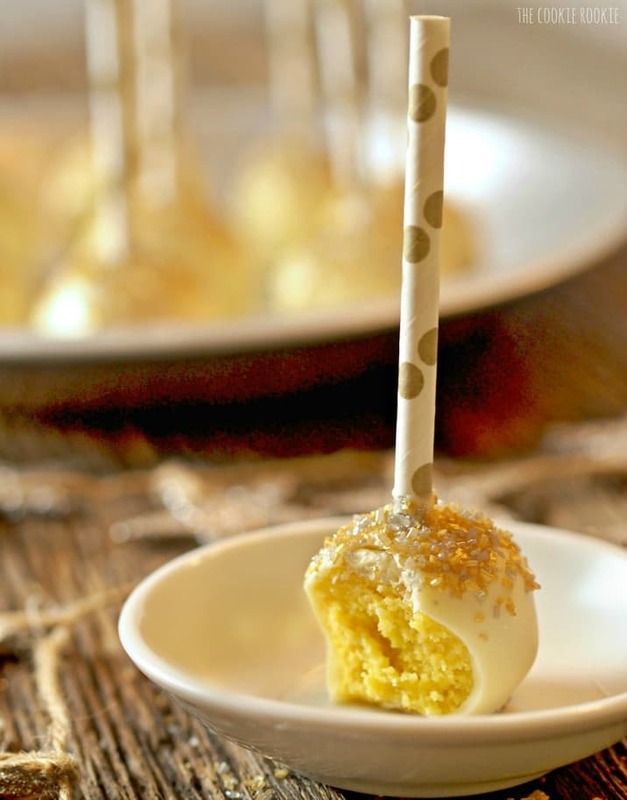 Lemon flavored Gold Glitter Cake Pops. I’ll tackle pops of the more amazing variety soon, but for now, I’m pretty proud of these beauties. If I do say so myself! 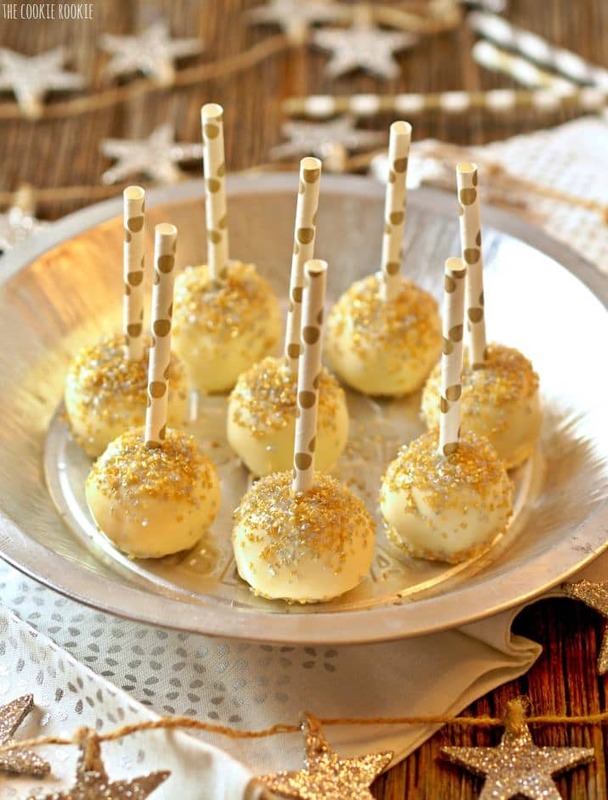 These are so pretty and tasty; just perfect for any party! Add the icing (3/4 of a ready made container) and mix together with the crumbled cake and the lemon juice. This is the most tedious part. At first it will seem like they won't mix together, but they will! Use a large spoon and continue to work until the icing is fully mixed into the cake. The batter should be dense enough to hold together when you roll the cake into balls. 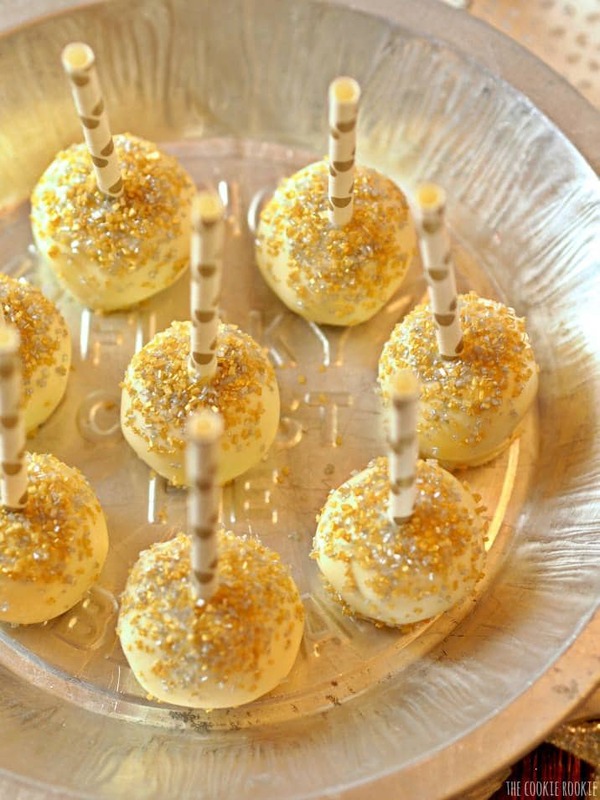 Take one cake ball out of the fridge at a time. First dip your lollipop stick or straw into the chocolate (about 1/2 inch) and then insert directly into the middle of the cake ball. 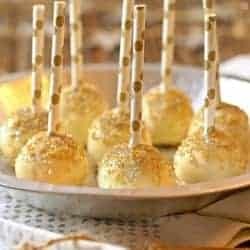 This will help bond the stick to the cake ball. 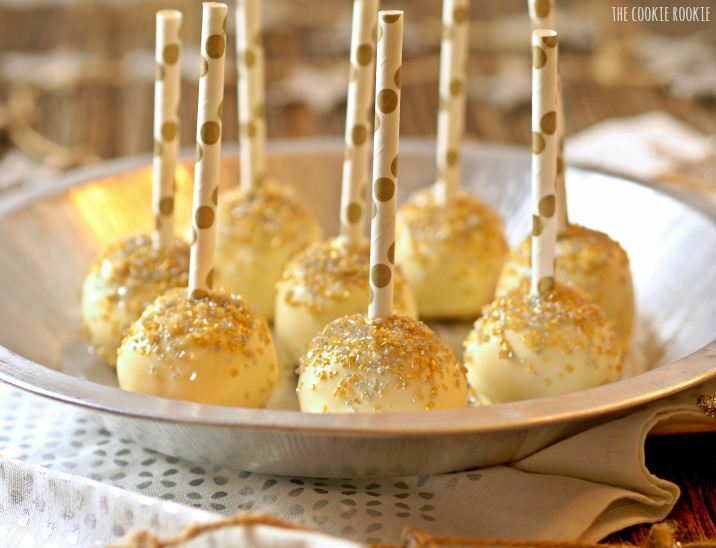 Immediately dip the cake pop into the chocolate and submerge completely. Lift out of the chocolate and allow the excess to drip off. 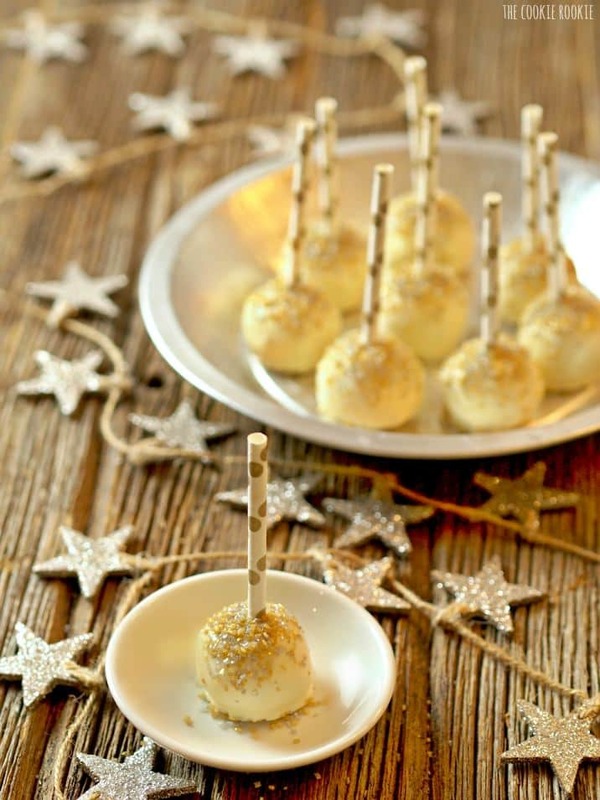 Place the cake pop on another wax paper lined baking sheet. I chose to set them cake ball side down. If you would like them to be more like lollipops, you can place them right-side up in a Styrofoam block to let them dry. Love these, Bec. They turned out perfect and beautiful. These are so yummy and cute!! I will try with chocolate cake mix and white icing…love this idea!!! I’m Definitely trying chocolate next! Thanks Aunt Linda! Oh cake balls are always so festive and delicious! These are gorgeous too! Oh Victoria they’re SUPER easy. Thanks for stopping by girl! 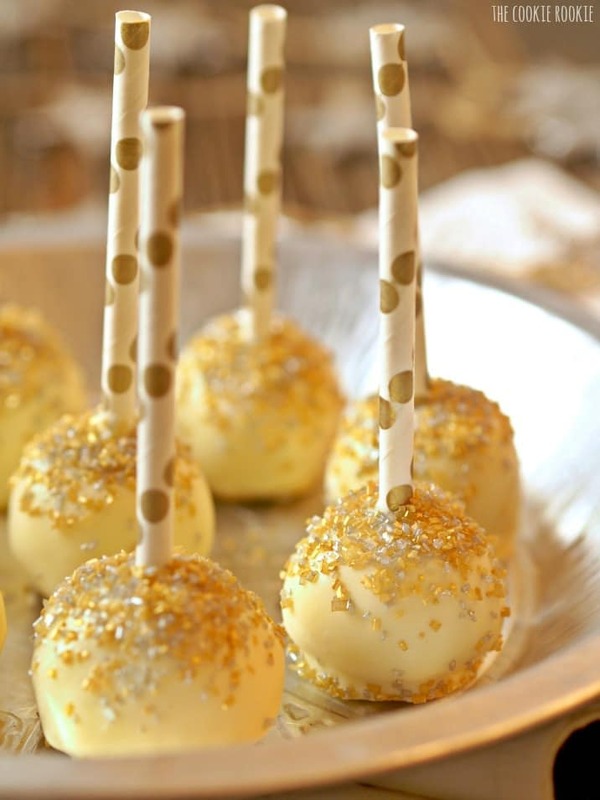 I just love everything about these glitter cake pops! 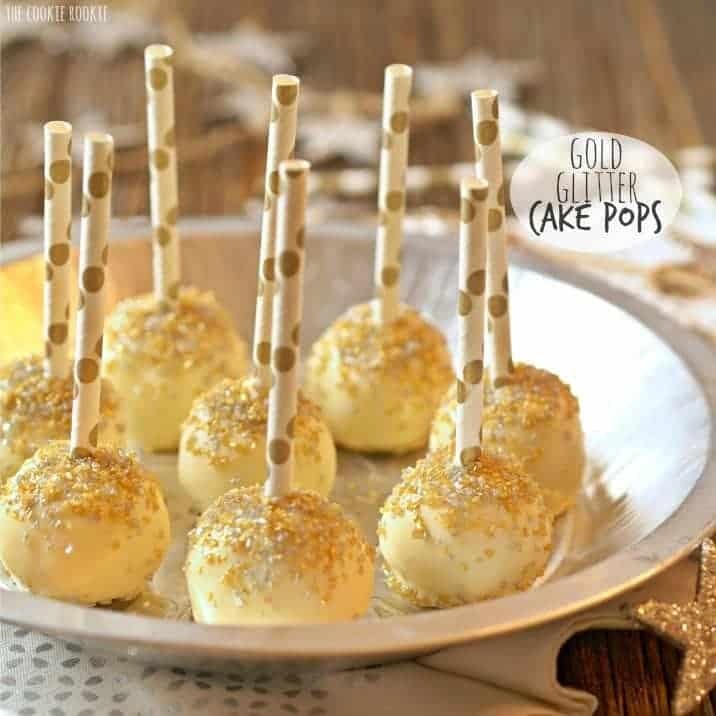 Even though it’s not even Christmas yet.. I’m already planning for New years Eve and think that these cake pops will be perfect for a party I am throwing! 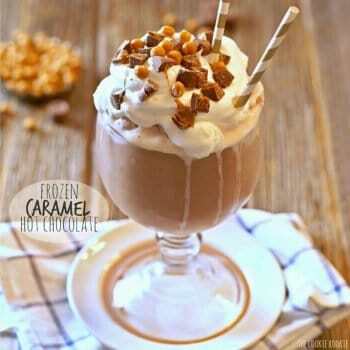 yummy i love this, delicious, thanks for sharing this recipe. I love these. Where did you get the gold sprinkles? Thanks! Thanks Sarah! I think I got them from Wilton. Thanks for stopping by! These look great. When did you incorporate the lemon juice? My apologies if I missed it! I’m assuming in the frosting? Or with the melts? 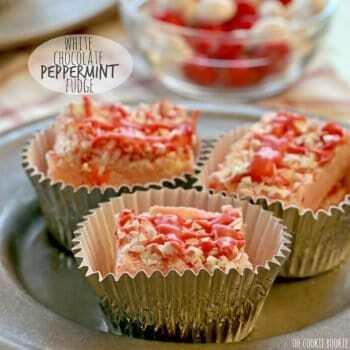 I am going to make these and have high hopes. My only questions is that I can not find anywhere in the recipe that uses the lemon juice mentioned in the ingredients section…. am I blind? I feel like someone will point it out to me and then I will feel dumb – but I LOVE lemon flavor and don’t want to miss out on adding this lemon juice somewhere!! Oh my gosh Nicole I’m so sorry! I added it in the step when combining the cake and icing. I’ve updated the recipe. Thanks so much for letting me know. Hope you love the recipe! I thought that might be where is was supposed to be – but I just made it without the lemon juice. It’s a good thing I did too! they would have probably been even better, and that would have spelled disaster for me. I ate waaayyyyy too many as it was.